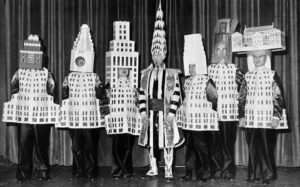 American architect, William van Alen was best known as the architect in charge of designing New York City’s Chrysler Building (1928–30). William Van Alen was born in Brooklyn, New York in 1883. He attended the Pratt Institute while working for the architect Clarence True and he studied for three years at the Atelier Masqueray, the first independent architecture studio in the United States. After finishing his studies, Van Alen worked for companies in New York. In particular, in 1902 he worked at the Hotel Astor for Clinton & Russell. At the age of 25, he won the Paris Prize scholarship which is a tremendous honor for any architect, allowing him to continue his studies at the École des Beaux-Arts. When he returned to New York in 1910, he became interested in new architectural styles, including the modernism for which he later became known. In 1911, he formed a partnership with H. Craig Severance, another architect with similar professional interests but with a very different personal style. Initially, the partnership grew, but sometimes their relationship became tense because of their personal differences and the partnership dissolved in 1924. In the late 1920s, Severance and Van Alen found themselves engaged in designing buildings that were announced by the press to become the tallest buildings in the world. 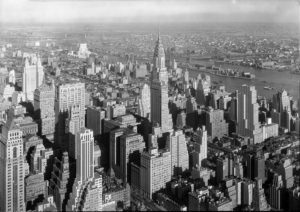 However, both buildings were surpassed in height by the Empire State Building in 1931. The completion of the Chrysler Building was received by critics with mixed reactions. Van Alen was hailed as a “Doctor of Altitude” and the building itself was described by some critics as just flash which “embodies no compelling, organic idea”. 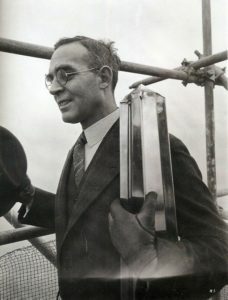 Van Alen had failed to enter into a contract with Walter Chrysler when he received the Chrysler Building commission. After Chrysler refused the payment, Van Alen sued and won, eventually receiving the commission. The cause has significantly weakened his reputation as an employable architect. After his career was actually ruined by this, Van Alen focused his attention on teaching sculpture. 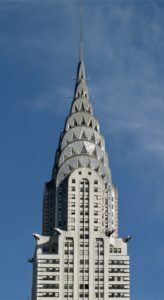 The American architect created the famous New York City’s, art-deco Chrysler Building for Walter Percy Chrysler, a well-known American automobile entrepreneur. Chrysler, in addition to commissioning the project, becomes an integral part of the realization of the work by inserting ten additional floors and some stylistic elements to recall the world of cars, such as the winged plugs of the radiators and the stylization of automotive wheels represented in the friezes. After having been home to Chrysler and privately owned by the family until 1953, today the skyscraper houses some residential apartments, offices and an entire floor dedicated to technical equipment. The building was also declared “National Historic Landmark” in 1976 and as “New York City Landmark” in 1978. The top of the skyscraper is characterized by a cusp with triangular windows that has a spire, stainless steel, about 40 meters high, mounted in great secrecy in less than two hours to be able to win the competition, born in those years, which saw opposing the work of Van Alen and the Trump Building by Severance. To win the tallest building title in the world, Severance decides to secretly add two additional plans to the original project to overcome the work of Van Alen. Even the construction of the Chrysler Building spire is carried out in secret so that the title is therefore given to the Chrysler Building, which, however, holds the record for only a year when, in 1931, the Empire State Building surpasses it with twenty floors, disappointing the expectations and desires of the Americans Chrysler and Van Alen. How can we identify van Allen’ style? William van Alen had an introverted personality. He had an eye for innovation and an attention to detail. In 1914, on a multistory commercial building, Van Alen began a push towards Modernism, a distinct shift from Beaux-Arts style that embraced new materials and methods of construction. On this building with a steel structure, he placed giant windows flush with a limestone wall. This may not seem like an important step, but at the time it was unheard of. He tried to eliminate the claim that buildings had large bases of stone to support the weight, even if there was a structural steel skeleton doing the work.